A pedestrian that is seriously injured in a traffic accident may sustain catastrophic personal injuries. Pedestrian accidents occur because of a number of reasons. Some accidents occur because both a driver and the pedestrian were negligent. Other pedestrian accidents happen because of dangerous road or weather conditions. 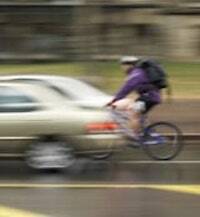 Please contact our San Diego bicycle accident law firm to discuss your case. Many motorists in San Diego County fail to watch out for bicyclists on freeways and roads—even when there are clearly delineated bicycle routes. It is unfortunate that the number of serious bike injuries has grown over the years. The Law Offices of David M. Boertje provides aggressive and experienced legal representation to bicycle injury victims and family members with wrongful death claims that have lost loved ones in bicycle crashes. Contact our San Diego bicycle accident law firm to discuss your serious injury case with one of our experienced lawyers. A traffic accident involving a bicycle and a car, truck, or motorcycle can lead to serious personal injuries—even if the accident occurred while the vehicle and bicycle were traveling at slow speeds. It is essential that your San Diego bicycle crash lawyer is able to articulate the damages and liability resulting from an auto-bicycle accident. Our Carlsbad and San Diego bicycle accident lawyers represent bicycle riders with all kinds of personal injury claims. The Law Offices of David M. Boertje represents personal injury clients on a contingency basis. You will never have to advance any fees to us, and we will only get paid for our legal services if you receive a judgment or settlement. The payment for our legal services will be an agreed upon percentage of your settlement. You will pay our San Diego bicycle accident law firm only after the successful resolution of your case and from the money we recover for you. Our San Diego bicycle collision lawyers will meet with you during a free initial consultation. With the Law Offices of David M. Boertje, you are working with an experienced personal injury law firm that knows how to successfully represent your bicycle crash case, pedestrian injury case, or any other personal injury claim or lawsuit. Our law firm represents personal injury and wrongful death clients in San Diego, Carlsbad, and other cities in San Diego County. Please call the Law Offices of David M. Boertje for your FREE CONSULTATION. Contact us online through our Web site or send us an e-mail. We will get back to you as soon as we can.